Hands-on activities are a great way to add variety to your homeschool, reinforce learning, and incorporate creativity. 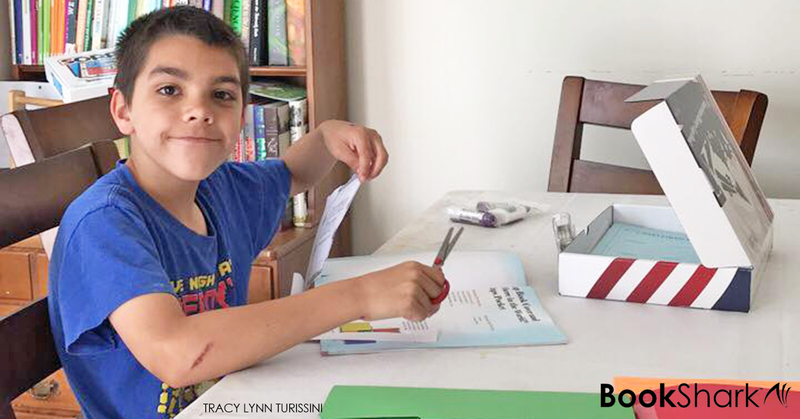 When your children are coloring, cutting, and building, there is opportunity to both review and organize what they’ve learned or even explore rabbit trails of curiosity. One great type of hands-on learning I've recently rediscovered is lap books. These fun papercrafts offer an alternative to boring worksheets while offering a fun opportunity to talk about what your child has learned! To be honest though, sometimes lap books can be a bit of a chore for moms. There is a ton of printing, organizing the projects, and gathering supplies. Thus, I was at first a bit skeptical about lap books and hadn't even given them a fair try. 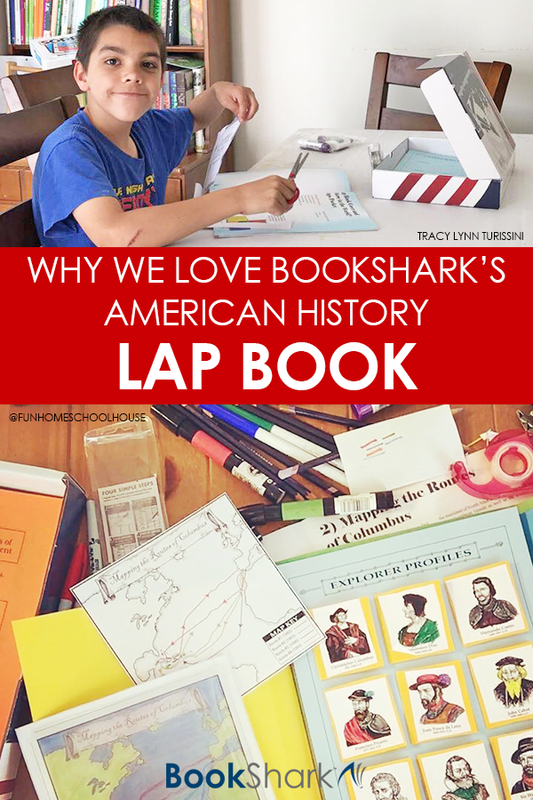 But after trying out BookShark’s American History Lap Book Kit, I'm on board! So why do we love BookShark’s Lap Book Kit so much? Here are five reasons my skepticism about lap books dissolved away. Have you ever sat down to work on a lap book and can’t find a brown paper bag, a cotton ball, or a glue stick? With BookShark’s Lap Book Kit, almost everything that you need to put your lap book together is included. The folder base of the lap book even comes folded and ready to use. When we have used lap books in the past, it took me a few tries to put the folder together correctly! It is massive sanity saver to have all your supplies in the box, ready to go! Often lap books come as a digital file that requires a ton of printing. BookShark doesn't leave you hanging like that. The set comes with all of the pages pre-printed. You're saving both time and printer ink. The kit takes 98% of the of pre-planning out of the process; you just grab the pages you need, and you’re set! I love doing hands-on activities with my son, but sometimes I have to step away or have him work on his own. With this kit, each activity is covered in the Instruction Booklet with a brief history lesson, a list of needed materials, and clear, colorful, step-by-step instructions. The guide truly makes completing the activities a breeze! We’ve found some lap books that are a lengthy process to assemble, and my son loses interest about halfway through! With this Lap Book Kit, the 25 hands-on activities are distributed throughout your history lessons. You complete one portion at a time, so it’s fun and interactive—not overwhelming. Often when we pull it out to add another element, my son likes to look back at the others we’ve already added. In this way, the lap book is a perfect vehicle for ongoing review! This lap book isn’t all about cutting and pasting. The projects incorporate creative writing, coloring, and drawing. When your children are finished with the lap book, they’ll have a collection of work that is uniquely theirs and demonstrates a concrete proof of learning. The Lap Book Kit has been a great asset to our homeschool this year, making our history lessons more interactive. Mom bonus—it's easy to simply pull out and use whenever we are ready for it which is clearly marked in our Instructor's Guide for Level 3 American History! If you are looking for a creative way to reinforce your history lessons this year, we highly recommend an American History Lap Book Kit. It is something we look forward to working on together each week! Krista is the homeschooling mom of 3 boys. After 13 years she has learned the value of chilling out, going with the flow and keeping homeschooling fun! 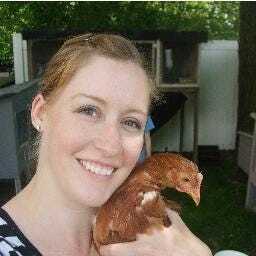 She is the blogger behind Far From Normal where she hopes to encourage parents and homeschoolers, and inspire a life lived happily outside the box! Want to learn more about a BookShark education? Sign up for emails.